Mommy's Idea: Win Organization Products from My Life On Time! Win a set of calling cards, a custom Jot Pad, and a custom pen! 2. Come back here and leave a comment telling us your favorite item. 3. Be sure to leave your e-mail if you don't have a blogger ID. Bloggers- you must have a public profile and listed e-mail for me to find you. Contest ends at 11:59 PM EST on Tuesday, December 16, 2008. I left the corporate world in December 2006 when my husband accepted a new job in Houston. We sold our home and moved over 1,000 miles away. At the same time, we left for China for two weeks to bring home our new daughter. So, our lives changed dramatically two years ago and we are finally finding some normalcy in our house! My daughters are both in Kindergarten and they keep me very busy. I’m a stay-at-home working mom who is never home! Busy people are surrounded by busy people! My Life On Time planners offer space to track events for your most important people every day. The possibilities are endless. I work one-on-one with my clients to develop a planner that fits their lifestyle. All planners are customized and personalized. I have an in-home studio, as well as an online presence at www.mylifeontime.com. 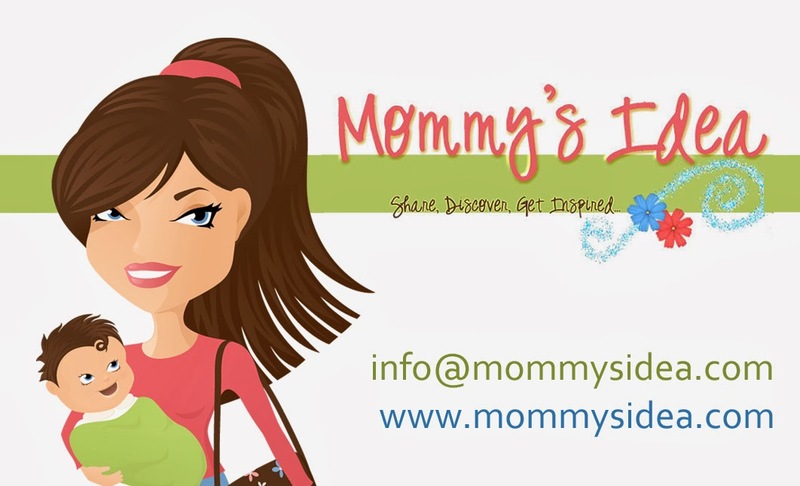 My company is mom-owned and my time-management products are mom-designed and mom-made. I also offer other featured items that I have found to help me and I want to share those with my clients. The journey has been a slow process. It started out as something I did for myself and, after spending so many hours developing my own planner, I made the decision to market the customized planners to others. My sister and mom started using the planners, and when people started to take notice of what they were using, it was a hit! My sister and mom have been my best salespeople!!! A blog is in the works!!! The url will be posted on my website (www.mylifeontime.com) once I get it up and running! I really like the sound of the personalized planner. I know I could certainly benefit from one of those! My fave theme is Royalty. Beautiful! wow :) all of it!! My favorite theme is the Hamptons, and I really could use a monthly calendar! I like the school girl theme for the binder and cards! the personalized planner is my favorite! I like the Hamptons calling cards. I'm sure I could use these in the next year or so when we start having play dates. I love the purple swirl pen and the simple white card with black and blue writing: I think it's the 5th one maybe the 4th one. I like the monthly planner and my favorite theme is Royalty. I really like the colorful calendar pages. Also the pens are really nice. I like to have a nice pen for my planner. thank you for the entry. I'm also a subscriber. Thanks! My favorite is the Calling Cards, which would make a terrific Christmas gift for my daughter-in-law who has two little girls and owns a pre-school. I was unhappy with Life on Time's navigation, the print was barely legible, no prices shown with the products and the products are poorly laid out. You might want to pass this information on because I wouldn't ordinarily spend any time browsing her web site. I love the my jots in Bloom pattern, I have never seen such a lrge selection of designs to choose from. there is something for everyone. I am a subscriber, thanks agin. I like the Princess Calling Card. Great giveaway, thanks! I stumbled this post, user name hellomary018. tweeted this giveaway, user name Mary512. What great products - makes getting/keeping me organized fun. So many designs to choose from and I love the personalization. It also makes sense to help a MOM and not a large company who doesn't work with me to get it right for me.I love the products and the choices, the planner,the watches, the calling cards and I need a wall calendar! GREAT FIND!! I like the pens -- the "modish" theme is my favorite. I loved the Wild About You Pendant Watch. I never know what time it is, this would be perfect! I like the cool looking pens! i really like the pens. I'd know if anyone at work had swiped a pen! The pens are great!! What fun designs. The calling cards are cool! I like the custom calling cards. I like the Petal Envy pendant watch. really like the calling cards. I like the wall calendars. Specifically, the wall flower design. Thanks! I like the Petal Envy theme and the persoalized planner. I really adore the "Soccer Star" card... so cute since my son loves soccer! I like the purple pen and the binder. I love the Aberdeen calling cards! Thanks for the great giveaway! I've subscribed to your feed! I really like the sound of the personalized planner. monthly planner is my favorite. The Modish Pendant Watch is very unique and chic!! Thank you for the contest! I really like a lot of the different pens. I really like the My Month organization planner. I love their weekly organizers! I love the binders the best! I love their monthly planners! Thanks for the review and giveaway! I love the Royalty pendant watch! Great website! I love the personalized planner!! I like the swanky feline calling cards! The *weekly calendar* or *personalized planner* look good to me. This is really a great idea...I need organization in my life. Hamptons calling cards, I love the blue & green dots! My favorite product from them is the my weeks products. I like the Grandma’s Tablecloth design the best. Although I can’t wait until they get the Wall Calendars. It says they are coming soon and they look cute! Anything in the Royalty theme!! My favorite is the antique pendant watch. Thanks. I love their binders and the Modish pattern! Love it! i thought the pens are fabulous! they are the ones the caught my eyes! I like the Binders !!!!! I like the my life pages. It would be nice to have it all in one spot. I love their binders. Thanks! I love the Pendant Watches, because I hate to wear watches on my wrist and it drives my husband crazy that I never know what the time is! I love those pens! I am always in need of pens and especially ones that look so nice! I loved all their products, but the pens are definitely my favorite. I love the May Day theme binder and planner! I like the WILD ABOUT YOU pendant watch. I love the Pendant Watches. My favorite is Wild About You. Just about anything in the royalty thing would thrill me. I love that theme because it resembles my blog design! I like the girlie pendant watch! Love the Royalty pendant watch! Great website! The Theme called FREEDOM is my favorite.I just heard a good military phrase, "I am stable & in control" however I want to be better organized for the orgainized chaos at my house especially during the Holidays. I love the green and blue polka dot pen. Love that color combo. I love the Petal Envy Pendant Watch! I love the My Life On Time pendant watch. I love the watches & the personalized planner!